Doctors operating at Ballarat Group Practice have been providing quality patient-focused healthcare to Ballarat families for over 70 years. Doctors at Ballarat Group Practice today operate from 3 locations - 1021 Howitt St Wendouree, 63 Victoria St Ballarat and the new location at 1730A Sturt St Alfredton. The Practice is accredited with AGPAL in accordance with standards set by the Royal Australian College of General Practioners. We are currently welcoming new patients. Please contact us at any of our practices for more information. Ballarat Group Practice is a family-oriented practice and the doctors who work here are able to provide the full spectrum of general medicine in a comfortable and professional environment across all 3 sites. Allied health professionals and experienced practice nurses support our GP's in the provision of these services. This includes chronic disease management, mental health, immunisation and travel medicine, podiatry, diabetic education and much more. 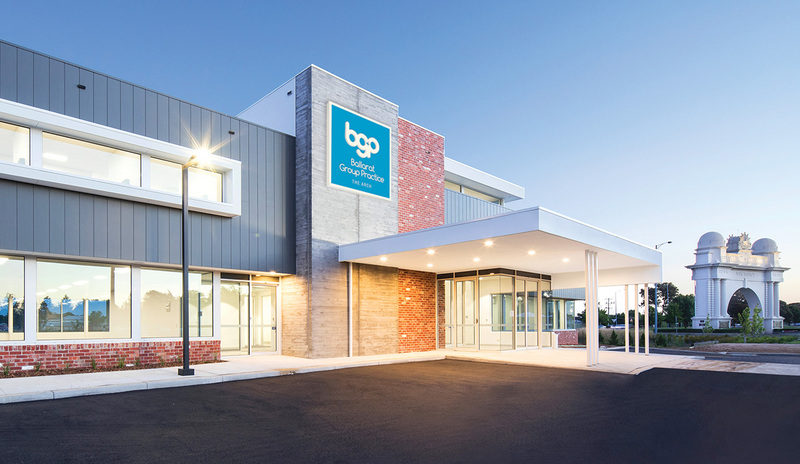 With 3 locations in Ballarat, and over 30 General Practitioners, doctors at BGP form a highly skilled team who are able to assist with the management of all general medical concerns and focus on providing excellence in patient healthcare. Ballarat Group Practice is proudly the largest regional accredited teaching medical practice for GP Registrars in Western Victoria. General Practitioners play an important role within the community. They are the first port of call for anyone who falls ill and it is important that general practitioners continue to enhance, teach and train future health professionals. Our experienced practitioners are dedicated to supporting and assisting our GP Registrars to develop the skills, knowledge and behaviours necessary to function as confident, independent general practitioners.